The stock logged turnover of Rs 20.62 crore (third-largest on the BSE) today with volume of 10.94 lakh recorded on the bourse. The YES Bank stock is in focus ahead of the private lender's board meeting tomorrow in which the name of new CEO and MD will be announced. Subsequently, the name will be sent to the Reserve Bank of India for approval. The large stock was trading 1.50% higher to 189.75 level today compared to the previous close of 186.95 on the BSE. The stock touched an intra day high of Rs 190.95, rising up to 2.14% on the BSE. The large cap stock hit an intra day low of 185 in trade today. The stock logged turnover of Rs 20.62 crore (third-largest on the BSE) today with volume of 10.94 lakh recorded on the bourse. The stock has lost 42.94% during the last one year. 28 of 47 brokerages rate the stock "buy" or 'outperform', 13 "hold" , four "underperform" and 2 "sell", according to analysts' recommendations tracked by Reuters. The stock is trading above its 50-day moving average of 180.96 but below its 200-day moving average of 272.56. In September last year, the RBI curtailed the term of Rana Kapoor as CEO and MD till January 31 2019. Rana Kapoor's term was given three-year extension by the bank shareholders in June, but the central bank had not specified the exact period of his tenure. Business Today talked to analysts to find out how to play the stock ahead of the board meeting tomorrow and prospects of the stock in the near future. Mustafa Nadeem, CEO at Epic Research said, "We have been bullish on YES bank since the stock completed its initial correction and tested lower levels of 150- 155. Well, these are extreme panic levels based on fear. That is what reflected in the price and recent formation on the chart suggest a kind of short-term to medium-term base. Prices are now seeing less sharp swings and volatility has reduced significantly. These are some initial signals while we expect the worst is over for this stock in the medium term and a bounce can be seen for 230 - 240 levels." Vikas Jain, Senior Research Analyst at Reliance Securities said, "One can buy the stock of YES Bank for a 20 per cent return from the current levels of Rs 191. The stock of the private bank has been trending in a range of Rs 180-190 levels over the past one month. It has given a breakout with positive divergence crossing its medium-term average, and one can initiate long for a target of Rs 233 with a stop loss of Rs 178." Rahul Agarwal, Director at Wealth Discovery/EZ Wealth said, "Leadership is one issue that has been a significant headwind for the YES Bank stock for a long time now; therefore clarity around the name would be certainly positive news for the bank. The stock sold off after the last board meeting on December 14 and since then it has recovered 11% from its low as per Monday's close. We expect the stock to go into the board meeting with the positive momentum intact. Therefore, the best way to play the price action would be to sell into the rally before the board meeting. For investors who are looking to stay in the counter for the longer term it is advisable to only get into the stock once the euphoria around the leadership event subsides. 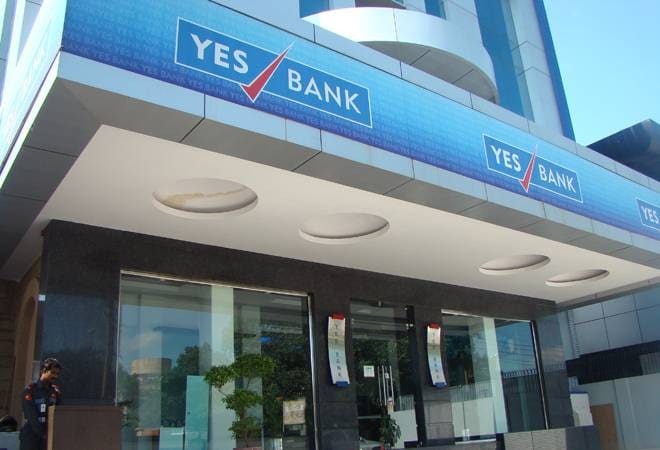 YES Bank stock is reeling under several headwinds leadership issue being just one of them, the ongoing legal battle between the promoter groups is another issue that has to be resolved to see any meaningful uptick in the counter. Until , all these nagging issues are addressed we do not expect any significant sustainable rally, therefore investors should not chase the stock if there is a short term rally post the board meet as we expect that there would be ample opportunities to enter the stock at better valuations in the future."